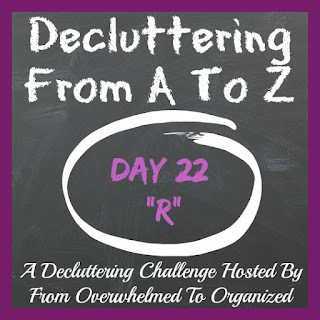 Today we're decluttering items that begin with the letter R! 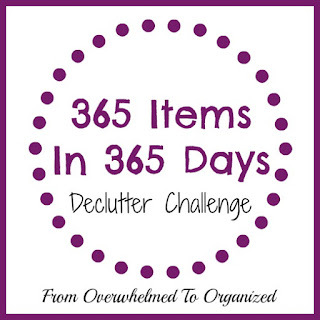 You can declutter anything you want that begins with R. I'll share some ideas and you can choose any of them that resonate with you, or declutter your own ideas that begin with R. Join in the decluttering fun! Declutter "R" items today! And then share what you decluttered (see options below). 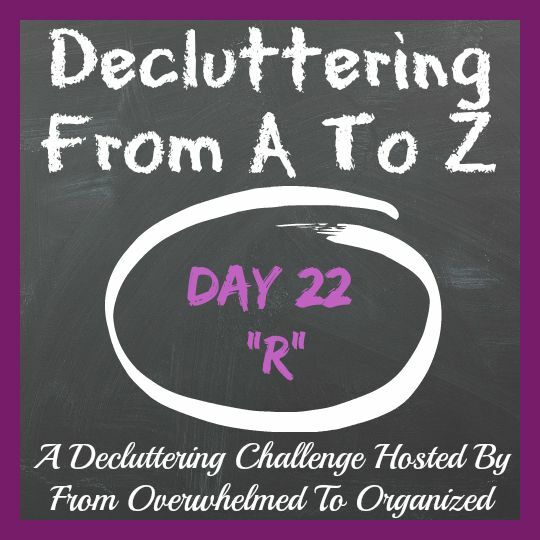 What are you decluttering today that begins with R? What R item is the hardest for you to let go of? What R things are the easiest to purge? Good for you Danielle! Feels great to get stuff out of our homes doesn't it? I am really loving this series. And I'm getting rid of lots of stuff, so it's working!!! I'm so glad you're finding it helpful! 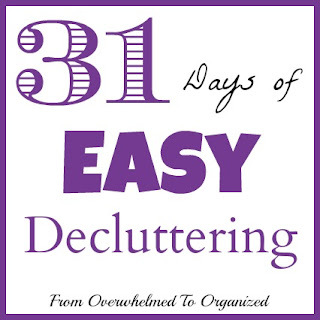 Keep up the great decluttering!